Sakura's dad gets a new job in America, so she and her parents make the move from their home in Japan. When she arrives in the States, most of all she misses her grandmother and the cherry blossom trees, under which she and her grandmother used to play and picnic. She wonders how she'll ever feel at home in this new place, with its unfamiliar language and landscape. One day, she meets her neighbor, a boy named Luke, and begins to feel a little more settled. When her grandmother becomes ill, though, her family takes a trip back to Japan. Sakura is sad when she returns to the States and once again reflects on all she misses. Luke does his best to cheer her up — and tells her about a surprise he knows she'll love, but she'll have to wait till spring. 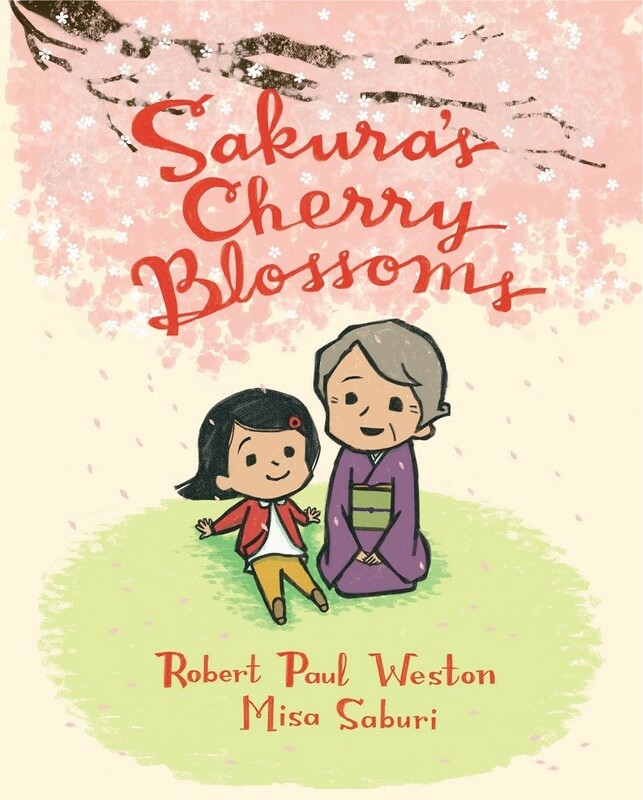 In the meantime, Sakura and Luke's friendship blooms and finally, when spring comes, Luke takes her to see the cherry blossom trees flowering right there in her new neighborhood. 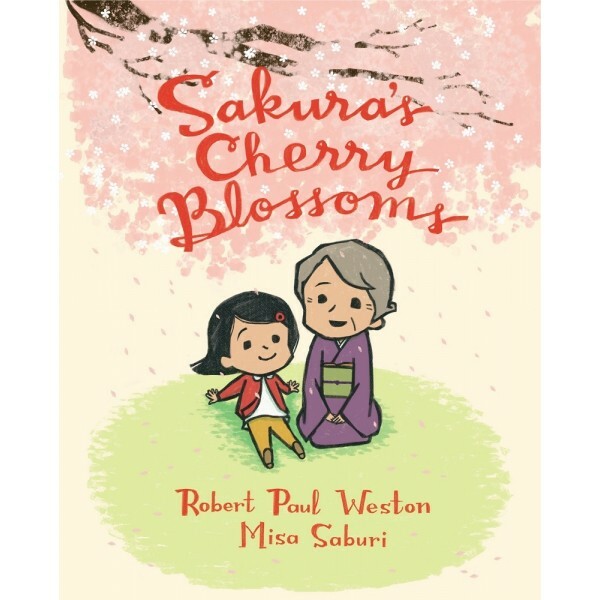 Sakura's Cherry Blossoms captures the beauty of the healing power of friendship through Weston's Japanese poetry-inspired text and Saburi's breathtaking illustrations.